This junior-sized DIY Backsplash Kit comes with 8 square feet in two colors: Bamboo and Amazon Dark – the best-selling colors of the regular-sized DIY Backsplash Kit product line. Even if the choice of colors is limited for the 8 square feet DIY Backsplash Kits, they do come with the tools – utility blade, sponge, sponge, gloves, tile spacers, pre-mixed grout, and trim pieces for finishing the edges. The amazing popularity of the peel and stick DIY Backsplash Kits has inspired MineralTiles.com to come up with a less hefty version of these kits: 8 square feet, instead of the regular 15 square feet. 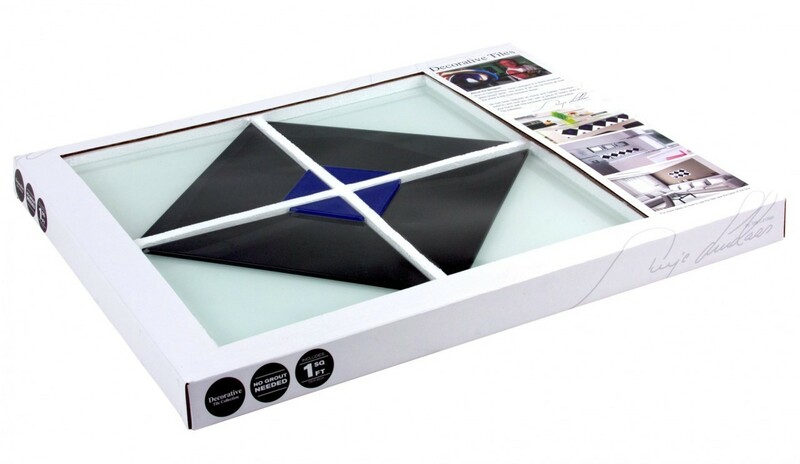 Even if the choice of colors is limited for the 8 square feet DIY Backsplash Kits, they do come with the tools – utility blade, sponge, gloves, tile spacers, pre-mixed grout, and trim pieces for finishing the edges – that made the regular 15 square feet kits popular for their convenience and ease of installation. An 8 square foot backsplash now only takes 120 minutes or less to install, primarily thanks to the peel and stick adhesive these glass mosaic tiles come with. For an even more versatile and affordable backsplash tiling, Mineral Tiles is also offering designer peel and stick glass tiles, starting with the Terje Glass. The Terje Glass peel and stick tile line is designed and endorsed by internationally famous Norwegian glass artist Terje Lundaas. 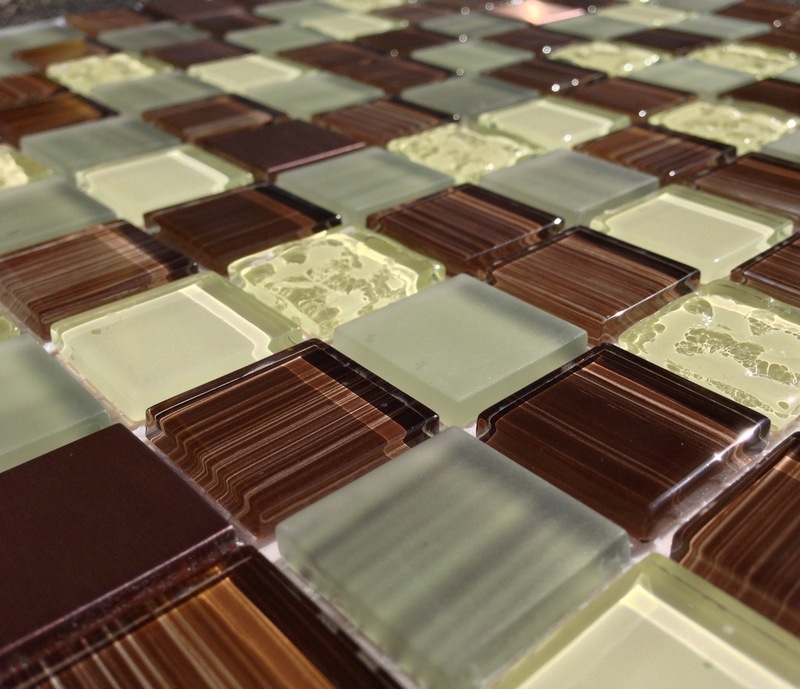 With these stylish glass tiles, your kitchen backsplash, bathroom, bedroom, and even living room, can have the level of decorative glass tiling that, until now, has only been seen in hotels like the Ritz Carlton and Breakers of Miami, the Hyatt Resort of Waikiki, or the royal Caribbean Cruise International and Norwegian Cruise Line ships. 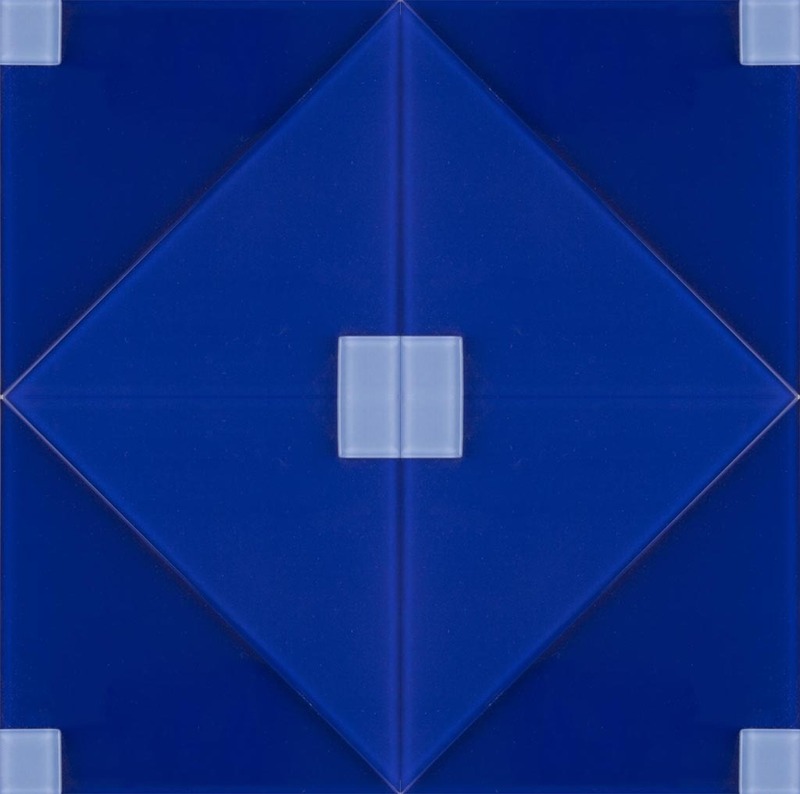 Each 3.64-pound Terje Glass pack comes in four 6x6-inch tiles forming a square foot of coordinated design that can be rearranged to suit one's purposes. 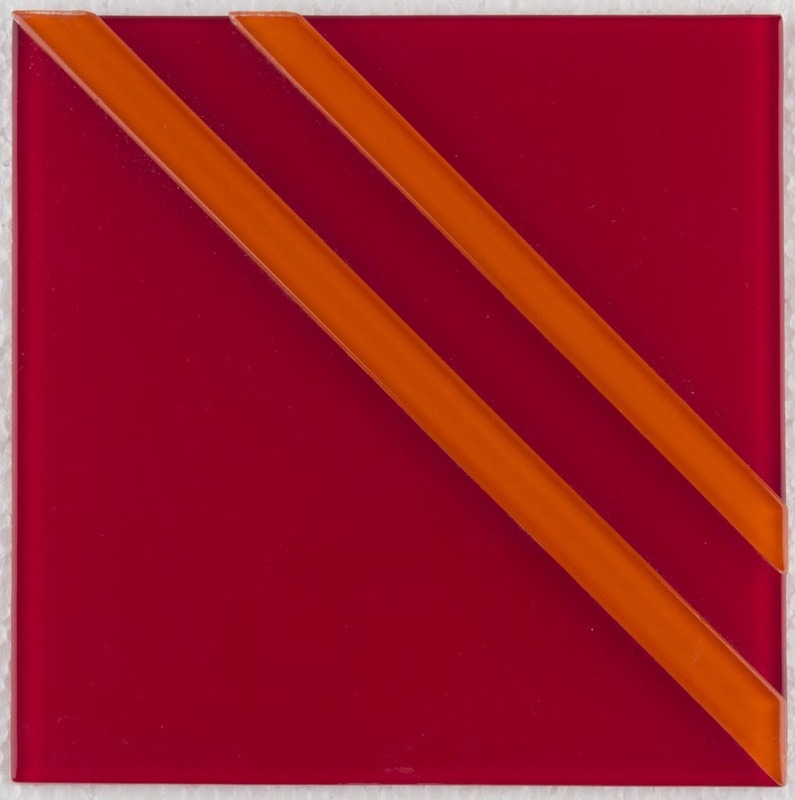 The decorations are fused on top of traditional glass tiling, enabling customers to have a piece of Terje Lundaas' "lyrical abstractions of color". The names of the 18 color designs available for the Terje Glass line should give customers several tiling ideas to explore: Autumn Leaf, Blue Eyes, Classic Elega, Cold Lake, Crystal Drops, Deep Blue, Greek Summer, Green Grape, Lily Blossom, Little Forest, Lovely Violet, Orchid Garden, Pure Diamond, Quiet Soul, Romantic Rose, Sweet Pumpkin, Turquoise Sto, and Winter Wind. Although the Terje Glass line is not a kit and so does not come with the tools and pre-mixed grout of the DIY Backsplash Kit line, it makes a good choice for decorating not only a kitchen backsplash, but also living room, dining room, and bathroom. 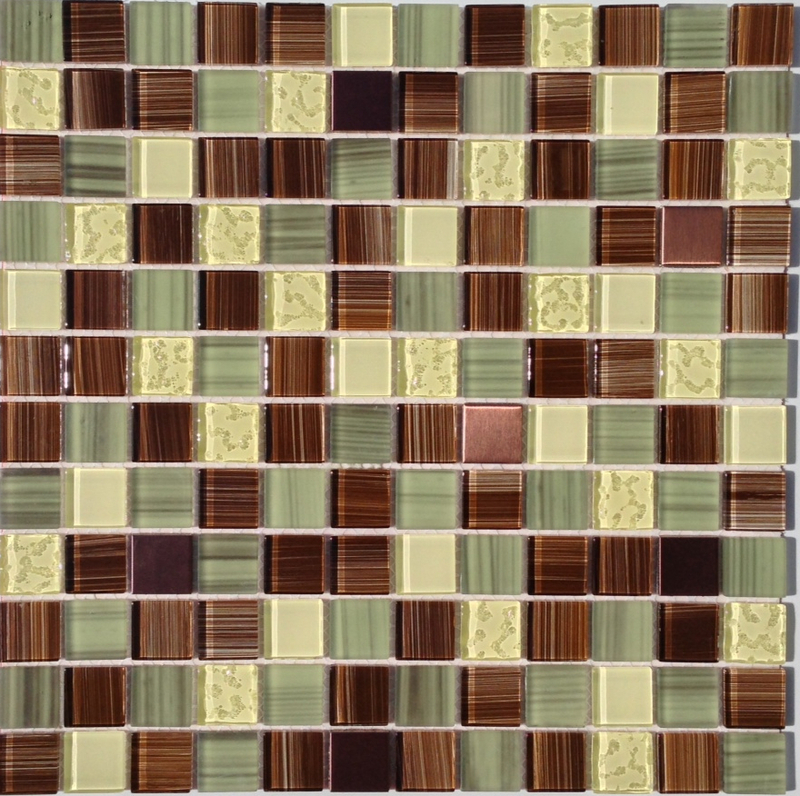 For even more versatility and savings, Mineral Tiles is also offering loose peel and stick glass mosaic tile sheets. Selling these tiles by the sheet, allows customers to choose and use their own grout color and tools. These loose glass mosaic sheets have no minimum quantity to buy. You can even buy only one 12x12-inch (1 square foot) loose sheet. With all the peel and stick glass mosaic tiling options Mineral Tiles offers, you're sure to be able to pick the one most suitable for your dream tile decoration project. MineralTiles.com is a prime web-based tile retailer. Proud of its ability to provide high quality mosaic and stainless steel tiles, Mineral Tiles works directly with manufacturers, providing customers with the largest variety of tiles to suit any tile decorating requirement.